For nearly 150 years women have found Bennett to be the ideal place to foster the constant rhythm of ideas. Each student’s individual need for self-expression and desire for achievement is constantly nurtured. The College fosters a strong respect for every student. Today, in the midst of a very active renaissance, Bennett is preparing contemporary women to be well educated, productive professionals, informed, participating citizens, and enlightened parents. The College offers twenty-four areas of study in Education, the Social Sciences, the Humanities, and in Natural and Behavioral Sciences and Mathematics. 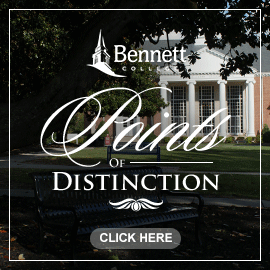 Numerous opportunities to study at other higher education institutions at home and abroad are available to continue the educational enrichment of Bennett’s students. 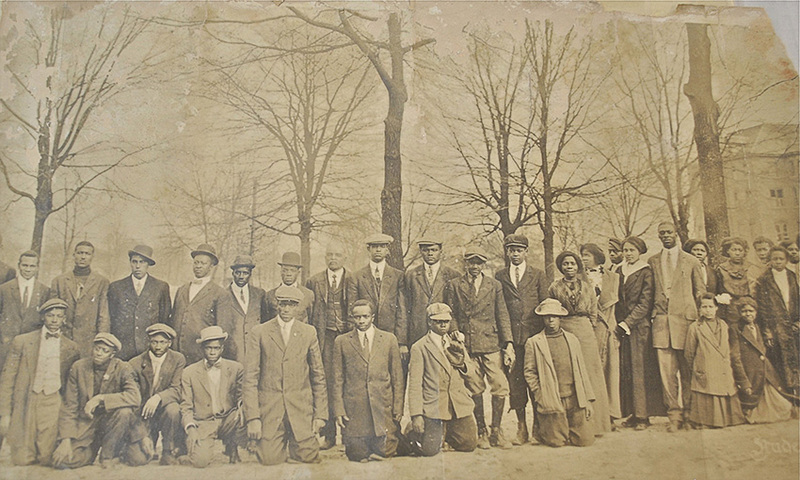 From its founding in the basement of a Methodist Church, Bennett College remains affiliated with the United Methodist Church.